This lovingly restored stone villa can comfortably accommodate nine people, and the use of pull-out beds is possible, accommodating up to twelve. 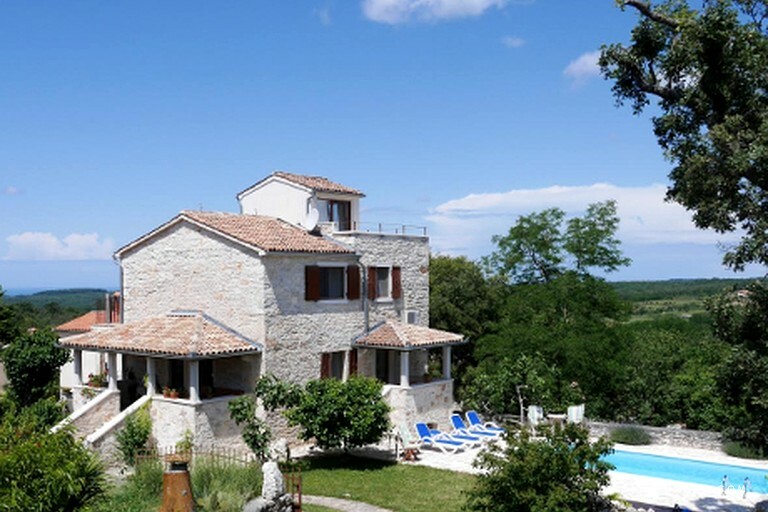 A private ‘sky roof’ provides an ideal vantage point to take in the stunning natural surroundings, and enjoy the sunset over the Istrian Peninsular. It is possible to glimpse 73 rural Istrian villages from this breathtaking location on a clear day. The property is luxuriously furnished with three bathrooms, a south-facing balcony on every story, and an extensive book collection which glampers are free to browse. 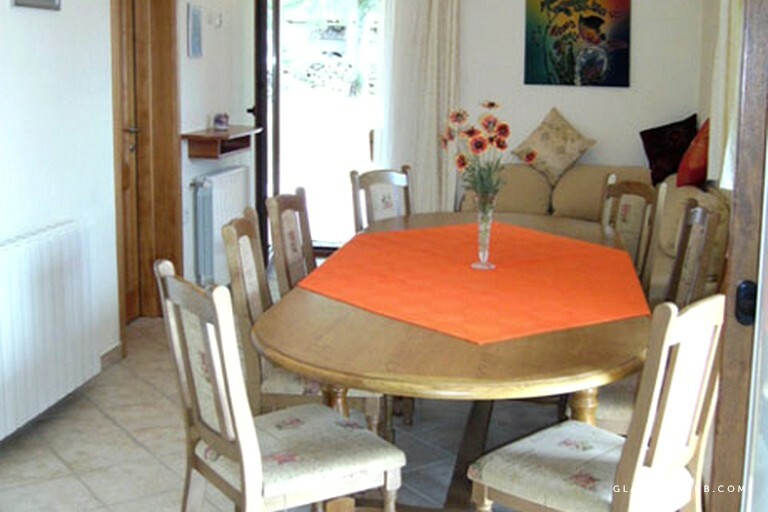 The kitchen is well equipped with a washing machine, cooker-hob, dishwasher, and coffee machine. 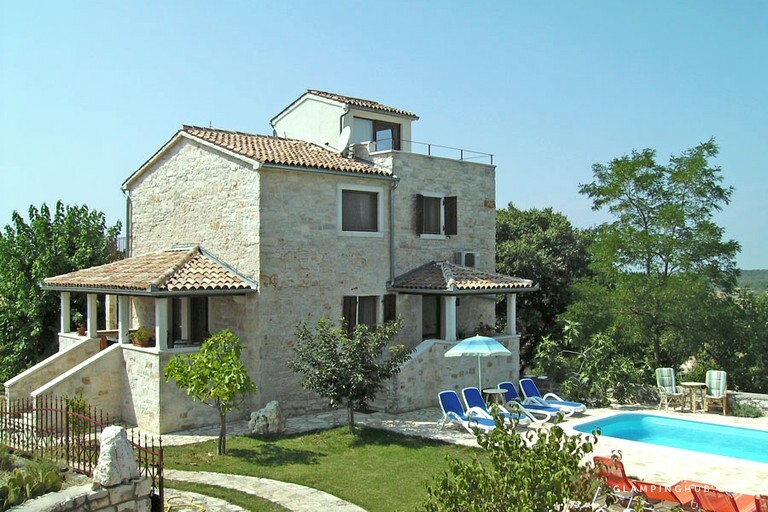 This villa is the perfect place to reconnect with friends, family or colleagues owing to its great communal living spaces: a shady outdoor eating area for alfresco dining, and a large hall which can be used for hosting celebrations, private meetings, and parties. Although the foundations of this villa are over 200 years old, the property has been lovingly restored by the current owners. The glamping accommodation features a roof terrace, which is the perfect place to take in the surrounding views and enjoy the sun. There is a south-facing balcony on every story, and a large wooden dining area for guests to enjoy their meals alfresco in the shade. 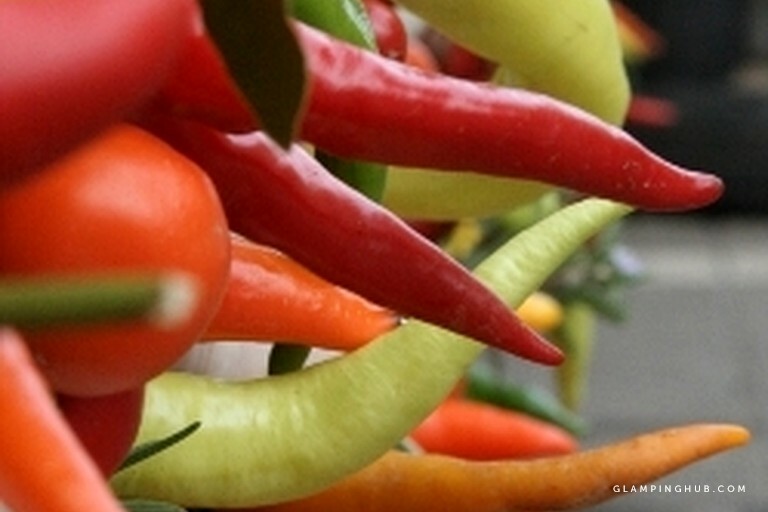 Fruit trees and gardens encompass the villa, which attract a wealth of butterflies and birds. As well as being a convenient distance from the Adriatic Sea, this accommodation boasts its very own private swimming pool. 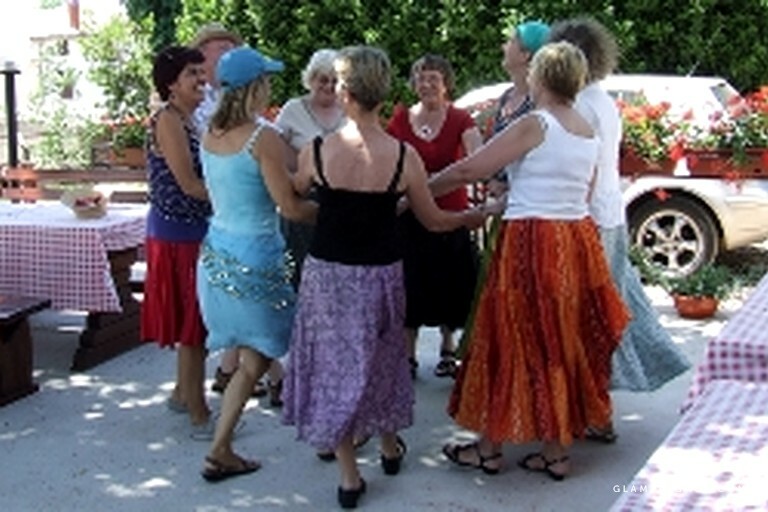 The villa contains a large communal room which is perfect for hosting parties, celebrations, or group work of any kind. In the summer months, glampers can make the most of the barbecue facilities and beach mattresses. There is Wi-Fi throughout the property. Transport from and to Pula Airport can be arranged upon request by the hosts. A local tour guide can also accompany you as you explore the nearby villages and towns, providing private tours if desired. The villa also offers car hiring services all at an additional charge. 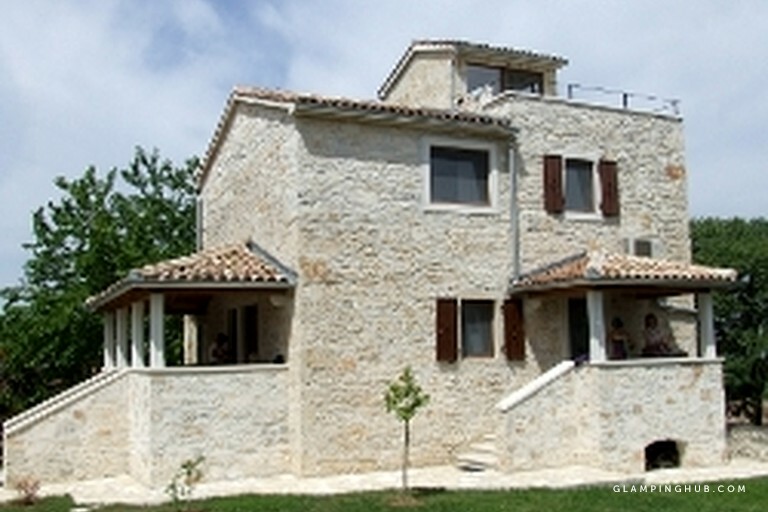 This idyllic stone villa is perched high in the Istrian hills, in the rural village of Majkusi. 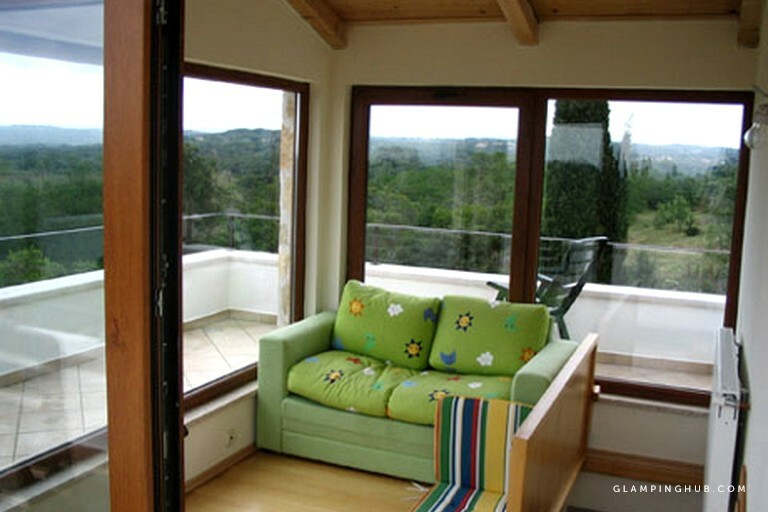 The village is surrounded by woodland and countryside, and from the vantage point of the villa’s private roof terrace, glampers can enjoy breathtaking views across the Istrian Peninsula and the Adriatic Sea. This stone villa is the ideal retreat for those who seek relaxation and peaceful natural surroundings, however there are also plenty of activities to keep glampers occupied during their stay. The crystal clear Adriatic Sea and its many beaches are only 15 minutes away, and the local countryside provides rich terrain for walking and running. The coastal village of Poreč with its Byzantine Basilica is 20 minutes from the villa, and the area boasts of many sites of historical and archaeological interest. The abandoned medieval town of Dvigrad is certainly worth a visit, with its fascinating collection of Roman and dinosaur remains. 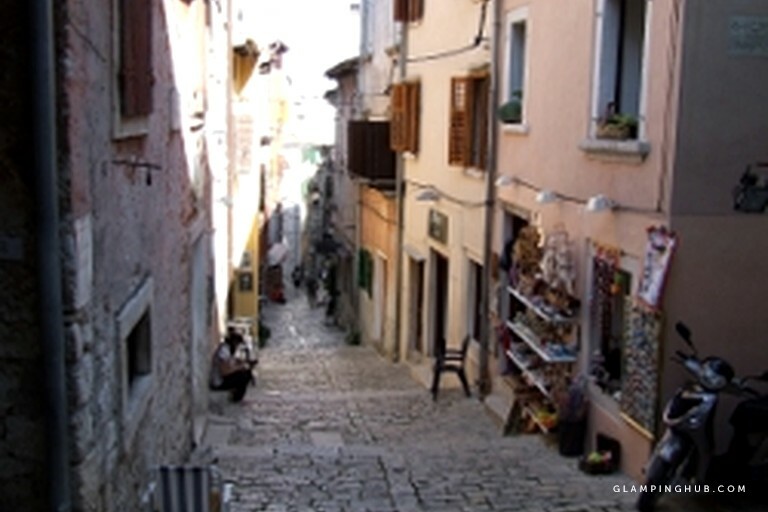 The Istrian Peninsula is peppered with hill-fort settlements, castles, waterfalls, and even naturist beaches: it really is the perfect location to explore the great outdoors with friends and family. There is an additional charge for cleaning, and a safe is provided for additional security if required. 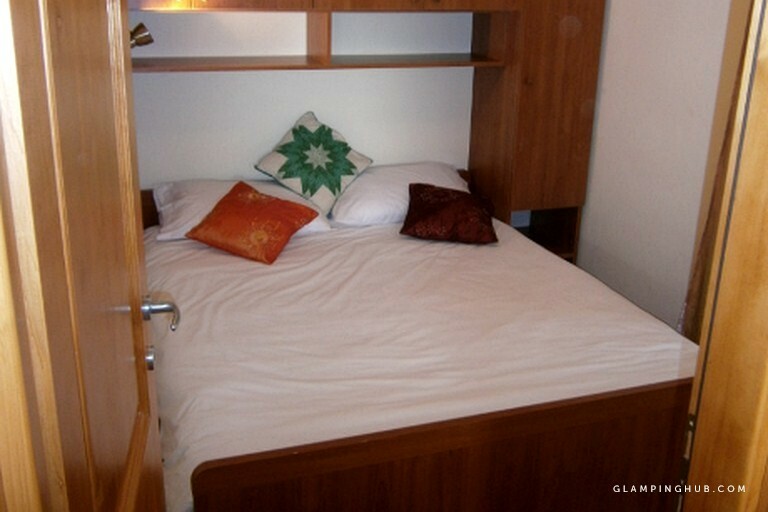 This glamping accommodation is not suitable for small children unless supervised, because of the open swimming pool. The circle dancing bookings must be secured by the payment of a $74 deposit.